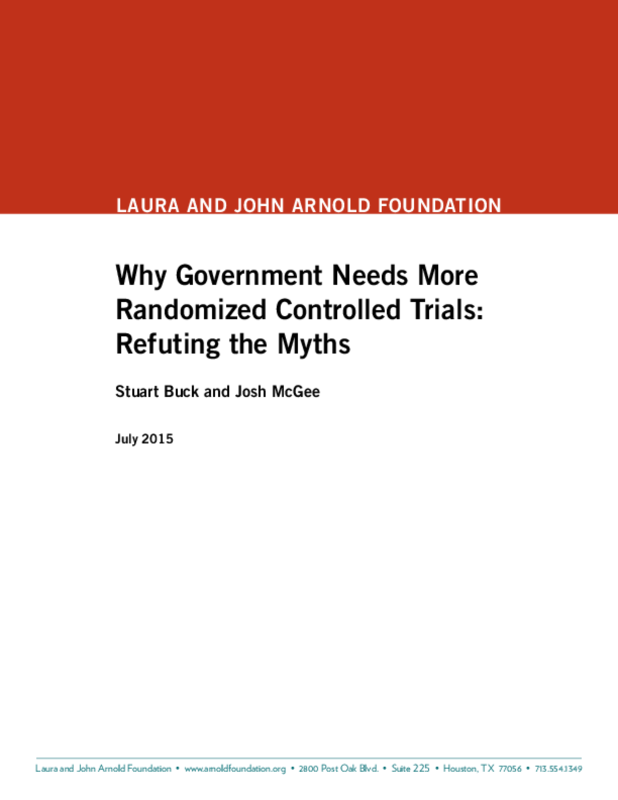 The Laura and John Arnold Foundation (LJAF) today released a policy brief focused on the value and benefits of randomized controlled trials (RCTs). Such trials are widely recognized as the gold standard in scientific research. However, some critics have claimed that they are often expensive, time-consuming, unethical, or not worth the trouble. These objections are almost always overstated or false. In this brief LJAF Vice President of Research Integrity Stuart Buck and LJAF Vice President of Public Accountability Josh McGee explain why RCTs are so valuable, why they are sometimes misunderstood, and why many common objections should be given little weight.